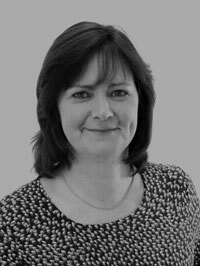 Judith has worked in the palm oil industry for more than 10 years, and has over 20 years’ experience of sales, marketing, communication and management in the food manufacturing sector as a whole. She has in-depth knowledge in the field of sustainability and has led marketing and CSR functions at a global edible oils business level. One of the founding members of the RSPO, Judith has unrivalled experience, breadth and depth of knowledge, helping businesses and organisations make the best-informed and most efficient decisions as they develop their certified sustainable palm activities. Judith has developed strategies for marketing and corporate social responsibility, led internal and external communications, and delivered presentations and training to customers on all commercial aspects of certified sustainable palm oil – from producing and selling, to buying, using and making claims. Judith joined Efeca in 2017.